Happy Monday everyone! It’s been a while since I posted a “1 Item, 3 Ways” post. Now that it’s finally September and FINALLY cooling down in Toronto, it’s been great needing to wearing pants and light jackets. I mean, we still have those random warm days but I’ve been able to wear a few fall coats here and there so my level of excitement when it comes to styling has gone up significantly since the summer. 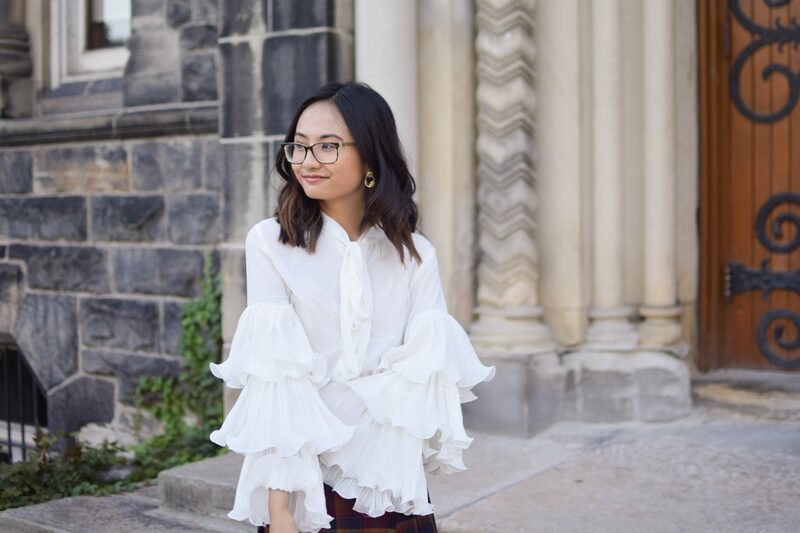 This week’s post is all about styling your not so typical white blouse. 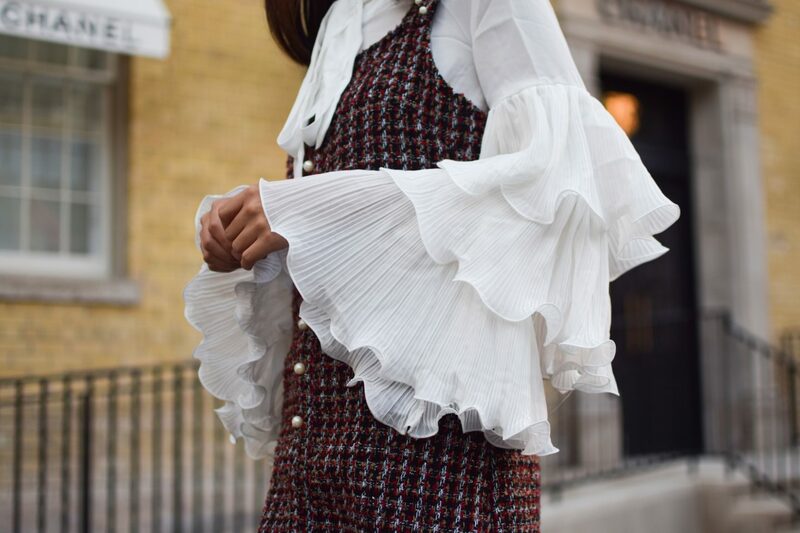 The last year or so, I’ve been really into the statement (but also versatile) sleeves. 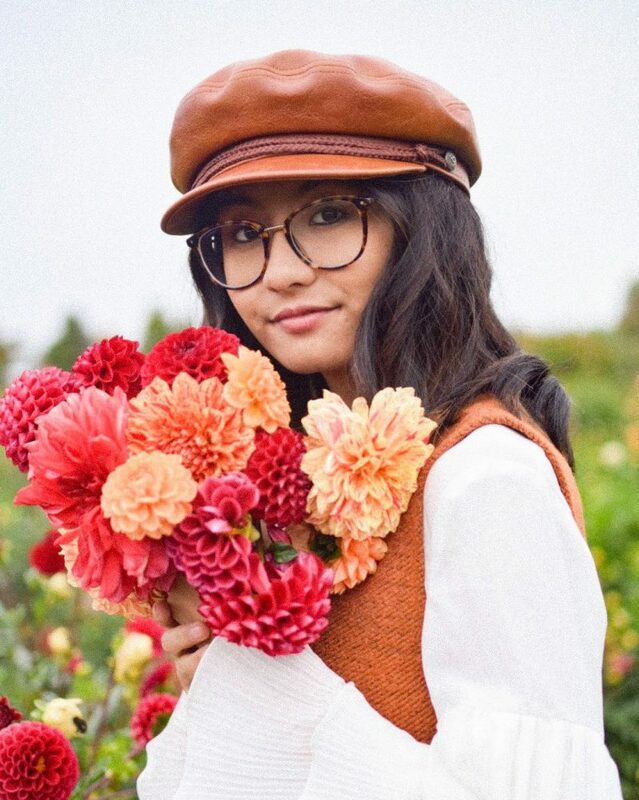 If you remember, I posted about three Valentine’s Day looks with my friends Carolina and Mikayla almost a couple of years ago and even featured Mikayla’s sweater again in another post of mine. 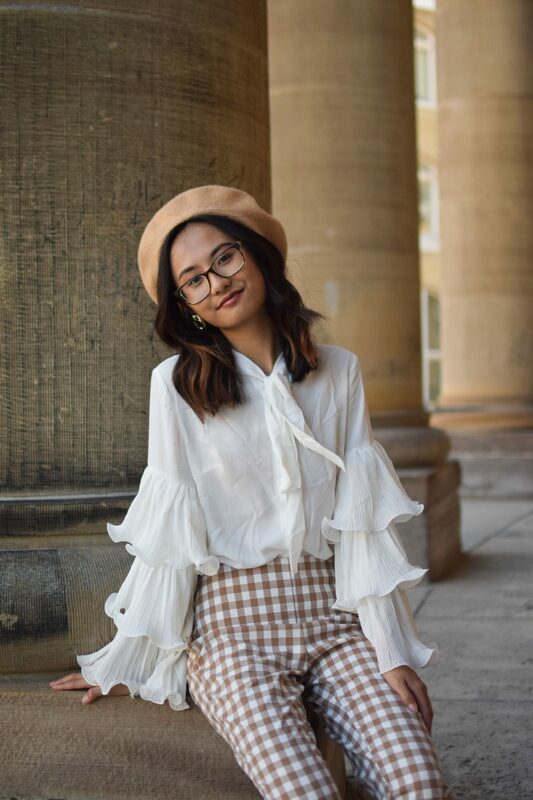 This outfit is surprisingly from SheIn. I’ve been working with them for a couple of years and have received some gems! 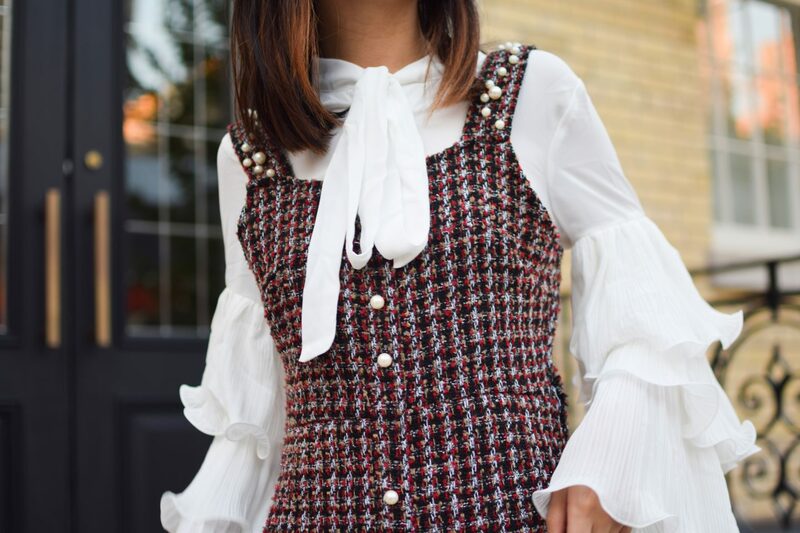 I decided to layer the blouse with a pinafore dress that has pearl detailing along the middle and on the top. 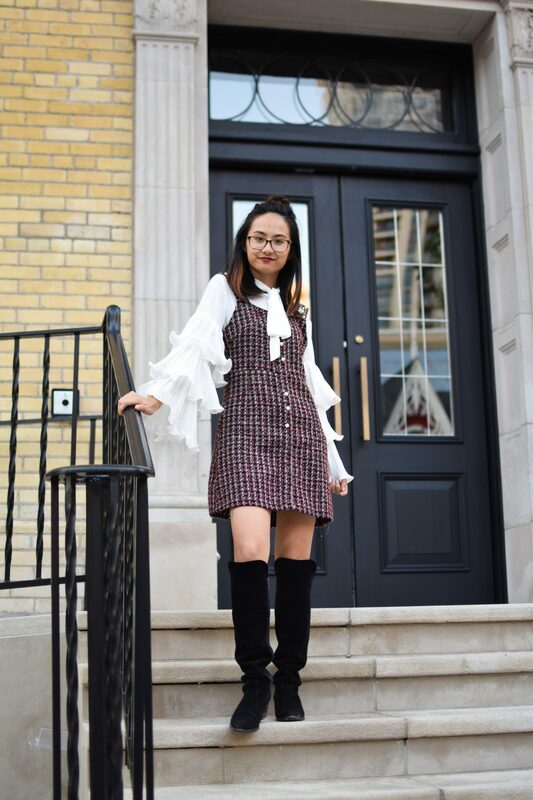 The tweed design combined with the exaggerated sleeves gives the overall outfit a very street style meets Chanel vibe that I’m obsessed with. 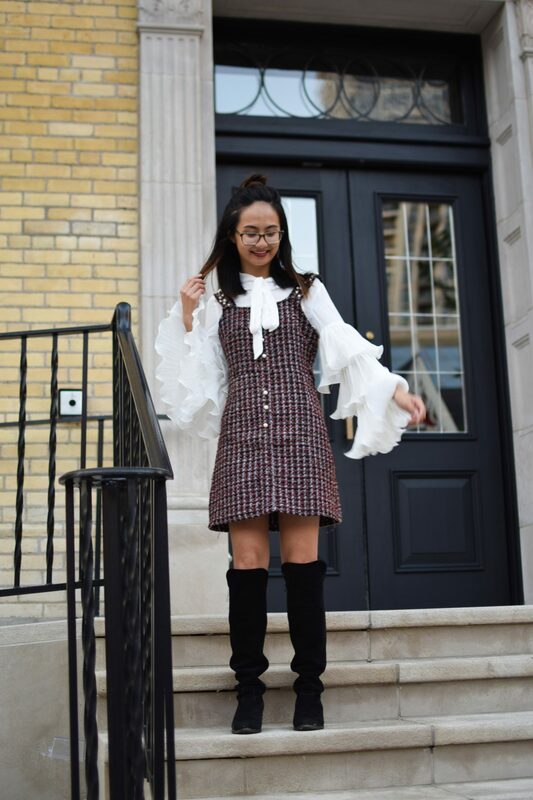 Since it’s getting colder, you can never go wrong with over the knee boots! I am completely obsessed with this outfit. I’ve worn something very similar on my Instagram that you can see here. 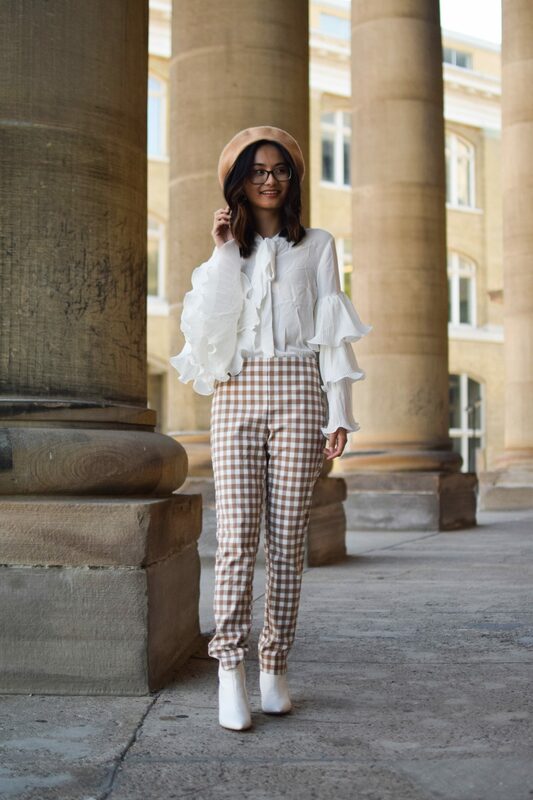 Cream or white tops are always a go-to of mine when I pair it with patterned pants so when I first worn these gingham trousers, I went simple with pairing it. To tie in the pants better, I accessorized it with a camel beret. 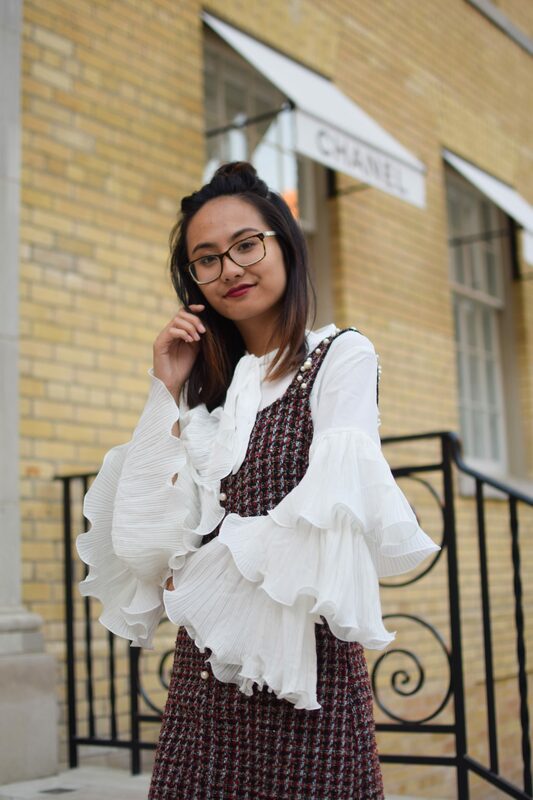 Of course, the white Boohoo boots are back and it was the perfect pair to wear with this outfit! 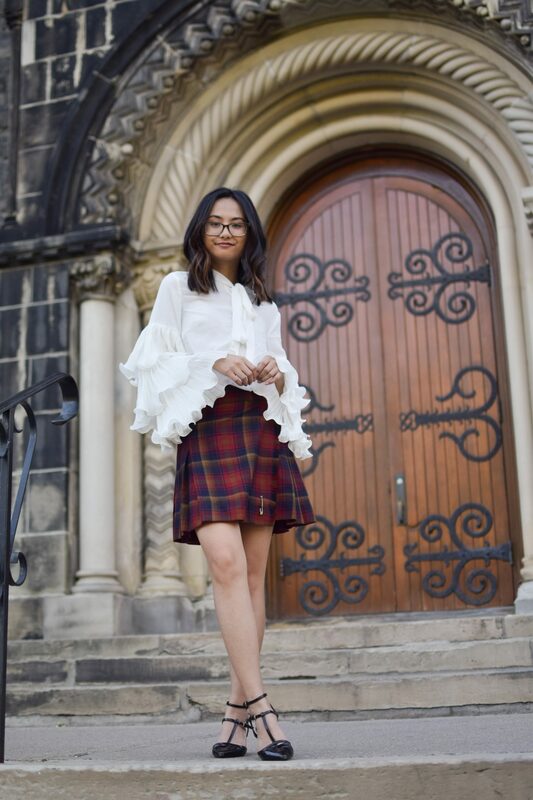 As for the last outfit, I added some prep school vibes with a plaid skirt that is actually from McCarthy’s! McCarthy’s is the company that has all of the school’s uniforms. 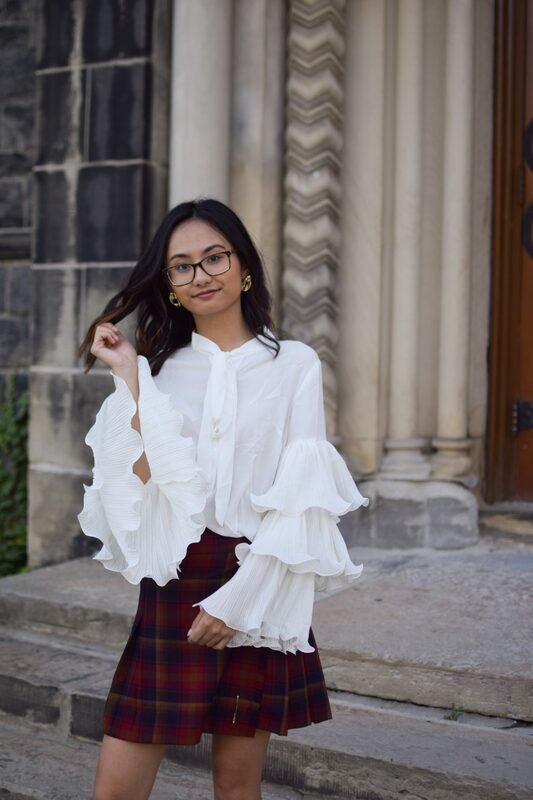 Usually I wouldn’t g o for a school girl skirt but I was obsessed with the fall colours in this. 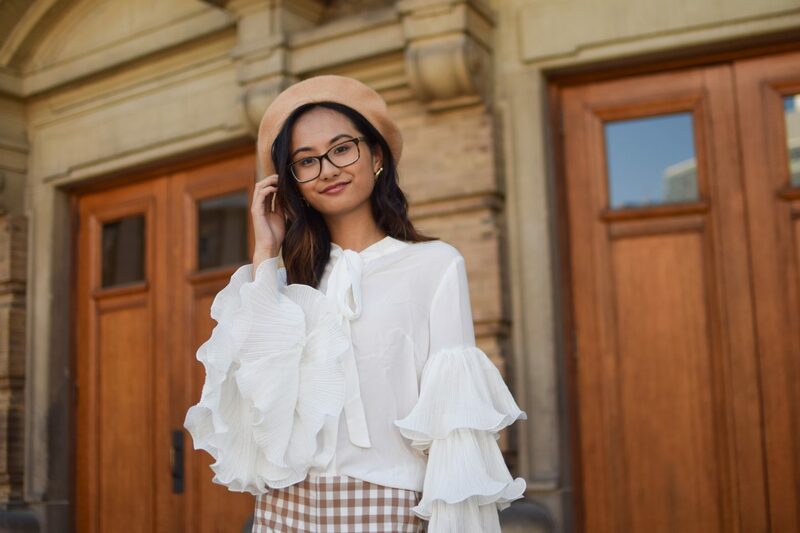 Disclaimer: This post contains affiliate links from SheIn. All opinions are my own.